Welcome Thursday and Dies R Us Friends!! 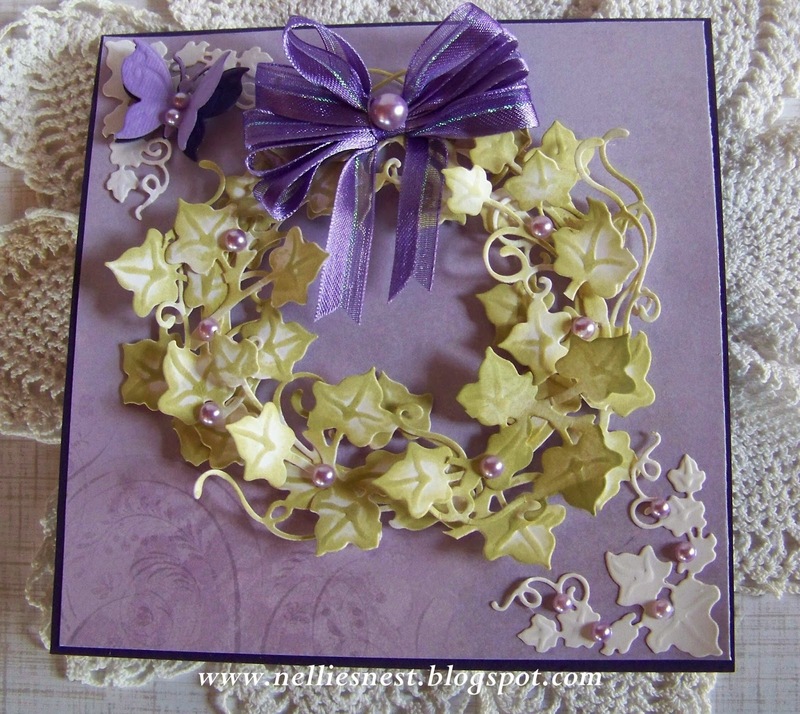 Diane with you today to hopefully inspire "YOU"
to get creative with the dies!! to make a wreath, I knew I wanted to make one as well! 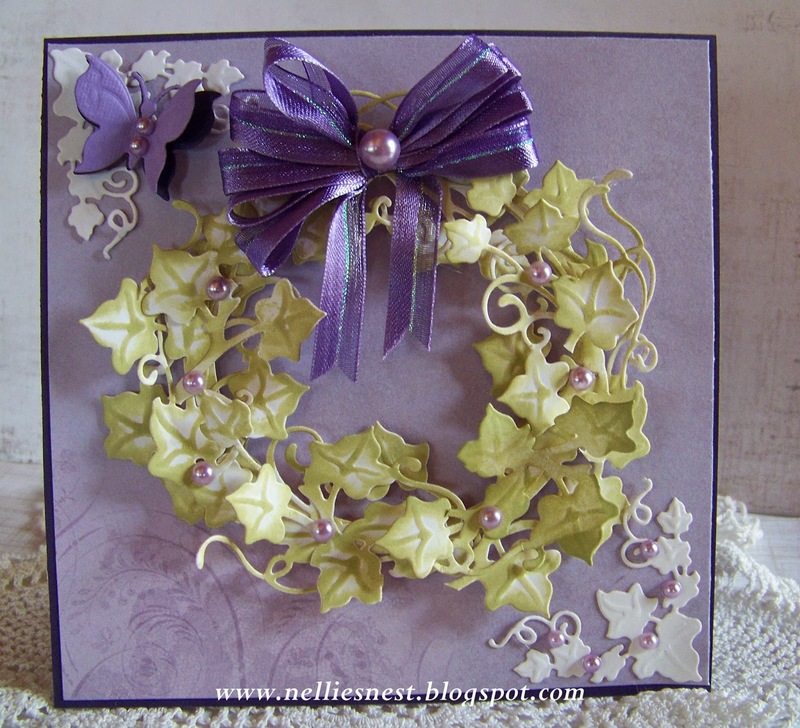 to cut a "frame" of sorts to build my wreath on. so this was a very handy way to form my wreath. By laying one circle die inside the other, I had an "open"
frame to work with, allowing the paper to show underneath! Greek Island Collection - Corner, Border, Tag die set. then sponging shabby shutters distress ink on. to allow the leaves to pop up! cut from Joy! Crafts butterfly die. take a peek at the Dies R Us store. It is amazing how many different dies are in stock! Don't forget we have a weekly challenge with a fabulous prize. Dies R Us girls have to show you!! This is beautiful! I had BOTH of these dies on my wish list but talked myself out of them. Now they are a "must-have" thanks to this!